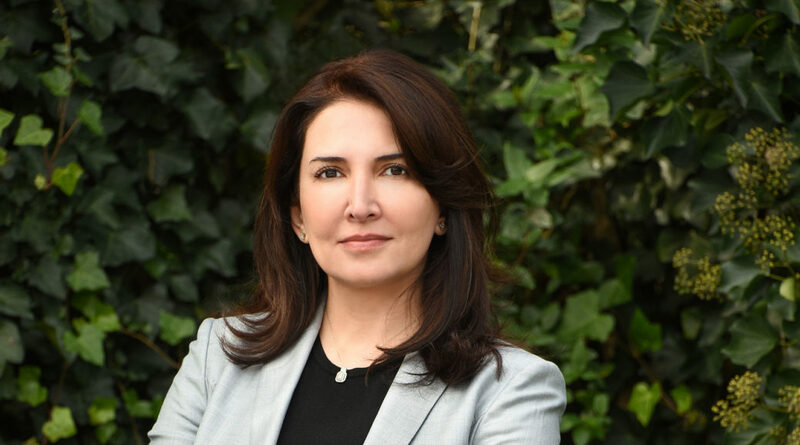 In 2013, Dr. Ghaidaa Hetou launched iStrategic with a mission of advising and helping companies mitigate political risks in the Middle East and North Africa (MENA). Utilizing data and intelligence from inside the region, iStrategic is able to help clients understand and integrate risk management strategies to safeguard their business operations in MENA countries. Born in Syria, Hetou has the first-hand experience of living and traveling in the Middle East and Europe, furthering her understanding of cultures and regions. 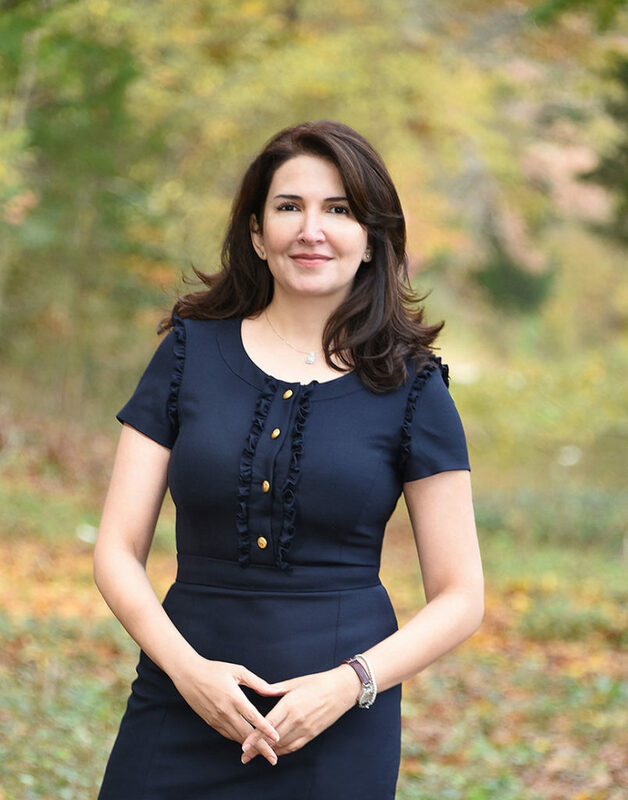 As a child, she lived in Germany and Saudi Arabia then moved to the United States in 1998 and attended Rutgers University where she gained a Master’s of Arts in Economics and a Master’s Degree in Global Affairs. She followed up her dual Master’s Degrees with a PhD in Political Science and Government. 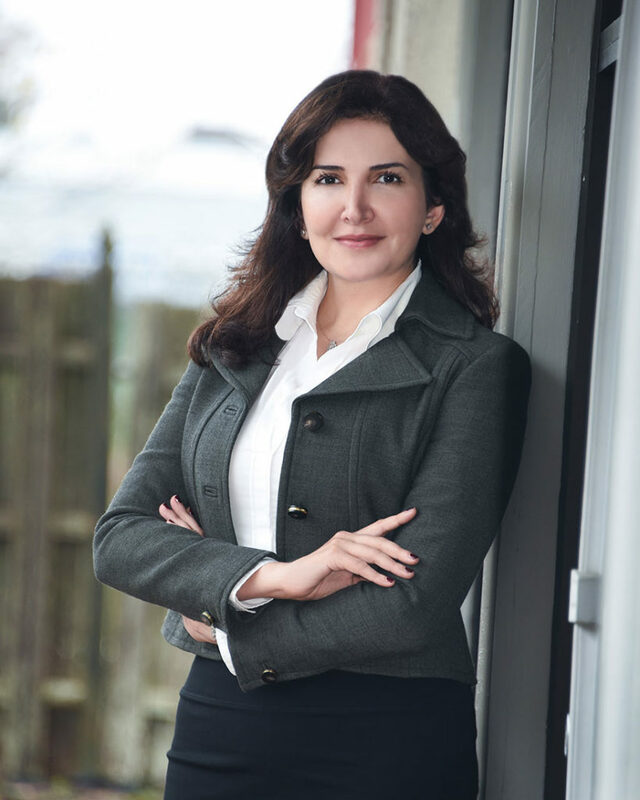 Using her learned knowledge and experience of the MENA region, Dr. Hetou founded iStrategic and has spent the last five years growing it into a trusted advisor for businesses. Recently, Dr. Hetou took the time to explain iStrategic’s mission and how corporations can benefit from her company’s work. Dr. Hetou, can you explain iStrategic and the work it carries out? iStrategic is an international advisory firm specializing in political risk analysis and political risk management in the Middle East and North African (MENA) markets exclusively. Our services, in addition to political risk analysis, include market intelligence and sector-specific risk analysis. The MENA region is what we know intimately and are therefore able to offer tailored risk mitigation strategies to corporations who seek opportunities in MENA, in the infrastructure, health or technology sectors for example, but are put off by the political uncertainty. Political uncertainty is a characteristic of most developing and emerging markets, and an adequate political risk assessment is a business imperative. At iStrategic, we offer tailored political risk mitigation strategies to corporations and businesses interested and/or are already stationed in MENA countries and are focused on mitigating political risk to their business operations. The company carries out risk analysis of countries in the Middle East and North Africa. Tell us, how do clients use this information in terms of their business? The primary source of uncertainty in MENA for private enterprise is political instability, and without indigenous understanding, political turmoil will seem sudden and unpredictable to outsiders. At iStrategic, we work with clients to open up the political black box in the MENA country of interest, and identify the particular sources of political risk as they differ with each country. Then, we establish comprehensive risk scenarios and based on our risk analysis and the client’s objectives we form a risk mitigation strategy that is exclusively tailored to the client’s needs. Establishing goodwill and building long-term bridges with the host country is possible once the operational environment is understood and appreciated. Return on investment has its set of prerequisites in developing markets, and one crucial component is having a proactive political risk mitigation strategy. Dr. Hetou, you speak a number of languages including Arabic, English, German, French, Farsi, Turkish, Kurdish and Hebrew. Can you tell us about your schooling and how you got into the political risk analysis world? I speak Arabic, English and German fluently, the other MENA languages you mentioned are spoken fluently by research assistants and associates of iStrategic. I was born in Damascus, Syria, but was raised in Germany and then Saudi Arabia, and have been living in the United States since 1998. I was lucky that my dad discussed politics with me ever since I was 10-years old, and much of my confidence stems from the trust and respect I saw in my father’s eyes growing up. I have been travelling in MENA and internationally for many years and my passion for removing the shrouds of mystery and uncertainty, and making MENA a better-understood region has been a mission of mine since my early school years. I studied Economics and Political Science earning two master degrees and a PhD all with a MENA focus. Then, I worked primarily on political risk since it remains the lesser professionally understood types of risks facing private enterprise in the MENA region. iStrategic looks at both a country’s risk and political risk when advising companies. This approach gives businesses a comprehensive understanding of the risk environment, which enables them to optimize decision outcomes. MENA countries are all different. Companies cannot take a ‘one size fits all’ approach to doing business in the region, and iStrategic helps clients improve their capabilities to dealing with uncertainty. What goes into studying a country’s risk and what is considered when doing an analysis? At iStrategic, we take a qualitative and quantitative approach to political risk analysis and country risk. Accounting for political, legal, regulatory, economic and social factors, and evaluating probability, weight and impact as charted by our risk modeling processes. Included in the process are due diligence and competitive intelligence. We are not in the business of speculating or forecasting, rather our approach is grounded in indigenous knowledge of the various sources of political risks, and is informed by rigorous risk analysis and risk scenarios that enhance the client’s proactive, mitigation and adaptive capabilities. Do you see countries in the Middle East and North Africa becoming safer and better for investment or is it going the opposite way? There is no singular answer that fits all MENA countries. Characterizing the MENA region as a whole with a general sweeping judgment is how most profitable opportunities get missed. Some countries are exhibiting confidence inducing investment and regulatory reforms for example, others are on an increasingly unstable political grounds. In just five years, Dr. Hetou has grown iStrategic into a go-to company on MENA. She used a gradual, steady approach to build her brand rather than to overexpose the company through advertising. It has worked well and iStrategic has grown organically without being pushed to its breaking points before getting its feet wet. Now, iStrategic is poised to build on its early development. iStrategic opened in 2013. Can you explain some of the growing pains and difficulties the company has gone through? One would be the challenge experienced by most entrepreneurs and that is the perseverance it takes to bring a vision to a tangible existence. I opted for a gradual and steady approach to growth rather than a highly publicized launch and marketing campaign, and I believe it was the correct choice for us. The company is a Woman Owned Small Business. What are some of the challenges of opening a business as a woman? I have been around mostly men during my studies of politics, security and strategy, so the thought that I am a woman is not what occurs to me even during intense discussions and brainstorming sessions, where only facts and substantiated arguments find support. I personally don’t feel that there is a gender-specific challenge other than what is experienced by business owners in general. Woman Owned Small Business (WOSB), like Veteran-Owned Small Business, is a business category in the United States making types of businesses eligible for state and federal contracting. Are analysis and reports produced by iStrategic available to the public? If not, personally what is your latest academic publication? At iStrategic we handle our clients’ privacy and exclusive access to reports and analysis as one of our foremost priorities. Due to privacy and competitive advantage concerns, all consultations, seminars, red teams, reports and analysis are exclusively tailored to our client’s needs, and only they retain exclusive access rights to requested services. So to answer your question, analysis and reports produced by iStrategic are not available to the public. Personally, my recent publication is a book titled: The Syrian Conflict: The Role of Iran, Russia and the U.S. in a Global Crisis. The book was published with Routledge in 2018.
iStrategic is just five years old, how do you see the firm growing over the next five years? I see gradual growth in the scope and scale of MENA risk analysis projects handled by iStrategic, and an expansion of our team of MENA experts and associates. Although iStrategic has been Dr. Hetou’s ‘baby’ since its inception, she has a life away from it. Whether it is traveling during her downtime or spending special moments with her children, Dr. Hetou tries to get the work-life balance right while running her consulting company. Dr. Hetou, what is a day in your life like? If I’m not travelling, I like to wake up early. Starting the day with a cup of coffee, I usually read/watch the news, then respond to emails and make phone calls. The gym is part of my daily routine; in addition to running, I enjoy Yoga and boxing classes. After lunch I go back to work, writing, conducting reviews, and joining conference calls. I recharge my soul with family time. People tell me I have a calm demeanor, which is true. What they might not know is that I’m very solution oriented to the extent of not liking or deriving any utility from static conversations about problems. I learned how to assess, involve who needs to be involved, solve, get the lesson and move on, and it is naturally how I am now. On the other hand, I’m a good listener and family and friends talk to me and seek advice often. Any expression of love and kindness, happy kids, happy elderly couples. Nothing, at peace with how life unfolds, and living life with a sense of excitement. In addition to travel, I like visiting art galleries, running, hiking, golf, and reading. There are many, but if I have to choose two it would be former American President Thomas Jefferson. He was the principle author of the Declaration of Independence. Jefferson advanced the principles of religious freedom and tolerance. Also, Fares al-Khoury; a Syrian statesman who lived from 1877 to 1962. He put the country first at a crucial time in Syria’s history during 1944 and 1945, and served his country for almost 50 years. Loving and caring for others in the name of God instead of hating, judging or harming in his name. iStrategic has quickly become a powerplayer in the political risk analysis and consulting industry. Through Dr. Hetou’s hardwork, life experiences and professional team, the company is positioned to work with major corporations and government agencies. Doing business internationally is a different ballgame, especially when a region, as volatile yet ripe with opportunities as MENA, is considered. iStrategic’s mission is to be the corporation’s asset and main ally to decipher and anticipate the political environment and mitigate political risks in the Middle East and North Africa.